A baby carrier can make parents life so much easier. When you have a baby who thrives in a carrier you can walk, work out, vacuum, cook, do the dishes all while having your baby close to you. Not to mention that you can move easily and freely around the city. Without the hassle of dragging along a stroller that has to go up and down stairs, be parked somewhere, pulled through the snow in winter, through grass or the beach in summer, in and out of a car and so on. Many parents describe baby carriers as a rescue, a life changer, a must. But there are also babies who don’t seem to like baby carriers … What can you do then? Here are five tips. Many parents try the baby carrier once or twice and the child is screaming, they begin to sweat, the harness is complicated, nothing goes as it should. They give up and the carrier is displaced as possible life-changer to a dust collector in your wardrobe. Don’t give up. Train your child in liking the baby carrier. Testing several times, trying different positions, trying again after a few days helps make your child feel safe in the baby carrier and increases the chances of putting your baby in the baby carrier on a good day! Don’t decide for your baby. It happens that parents decide what their child likes and dislikes. They don’t feel comfortable wearing a baby carrier, do not know how to put it on, are worried that the child does not get enough air when placed in the carrier or are in some other way “afraid” for the carrier and have decided that their child doesn’t like it. Take a look at yourself. If you are worried, your baby may feel it and has, therefore, difficulties relaxing in the carrier. And to prevent this from happening – test and try wearing the baby carrier before your child is born and/or before putting your child in it. Test/train with a doll, a teddy bear or something similar to learn how to use it. Najell baby carrier is spectacularly easy to use. Because of the magnetic buckles, it is equipped with. They make it extremely easy to put on and you can fasten the carrier using only on hand. Try at the right time. Introduce the baby carrier when your child has eaten, has a new diaper, is newly awake or on the verge of falling asleep. One or more of these factors may cause the child’s reaction to the carrier to be negative. A common mistake people make is that they use their baby carrier incorrectly. Wearing it too loose is probably the most common mistake and what often makes babies dissatisfied with baby carriers. It should look as if the baby is being hugged closely, otherwise, the baby might not feel safe. And it is not ergonomic for you who are carrying. Go out for fresh air and movement for help. Many babies like fresh air and being outdoors. And the moving feeling is something that makes us feel safe all the way up to the age of adults (who has not been rocked to sleep on a bus, train or in a car?). So start by using the baby carrier when going outside is a great way to make the baby carrier a thing associated with something positive for your baby. Even if it’s winter you can go out with your baby in the baby carrier. 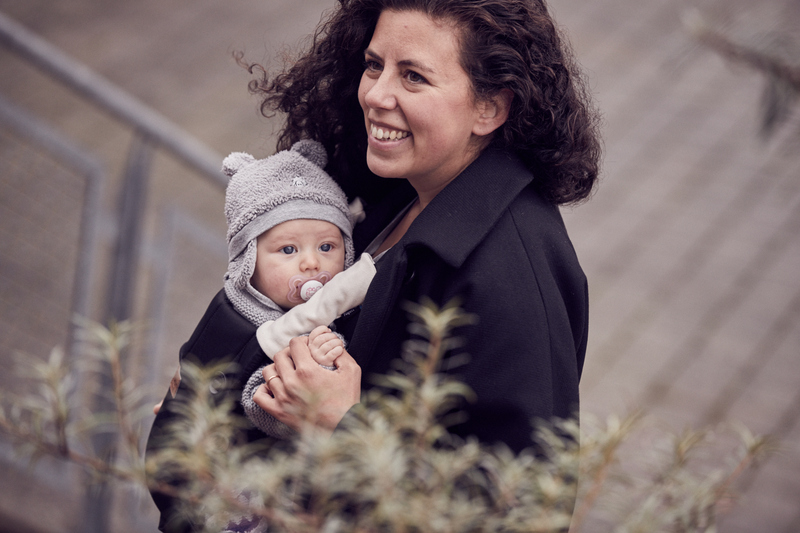 The fresh air combined with the movement created by you walking, plus the fact that there are lots of things to see and experience, make an outdoor walk with the baby carrier a pleasant experience. Take a look at Najell Baby Carriers here. Previous post: 10 tips to get a better sleep during pregnancy!